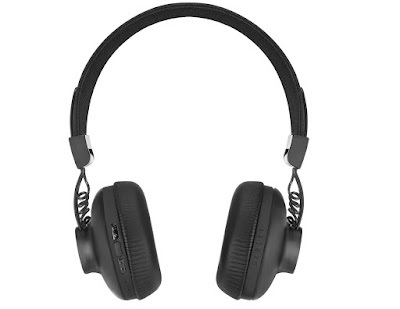 Last year we checked out a pair of wired on-ear headphones from House of Marley, the Positive Vibration. Check out our review, but in a nutshell they were solid, decent cans that produced a good quality of musical reproduction... at a very good price. Now they're back, but this time lacking any wires. We test the House of Marley Positive Vibration 2 Wireless Headphones. 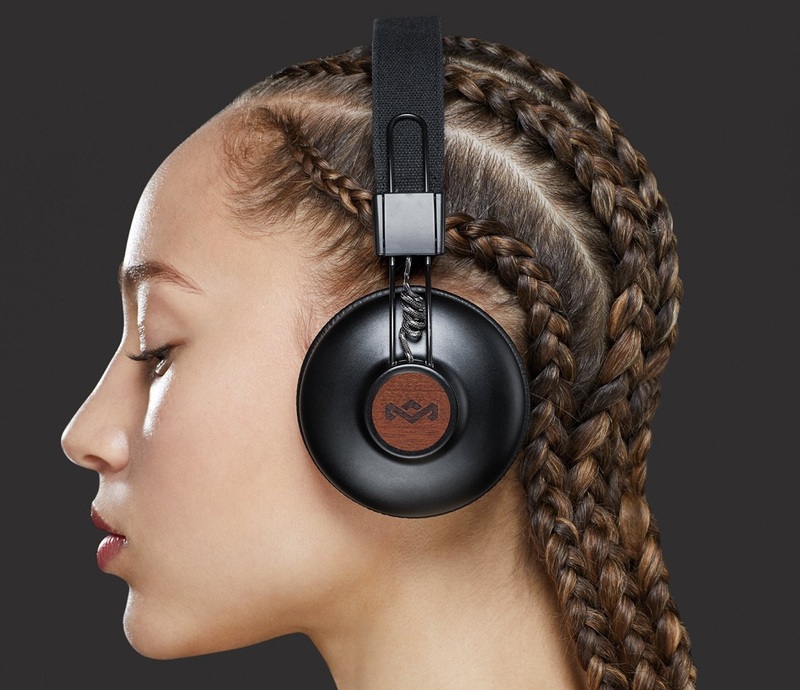 We really do want you to check out our previous review of the wired versions of these, as without spoiling too much, they are essentially the same pair of headphones. Well, kind of. As the name suggests this updated version is now complimented by Bluetooth connectivity, with a battery that offers up to 12 hours of continuous playback. 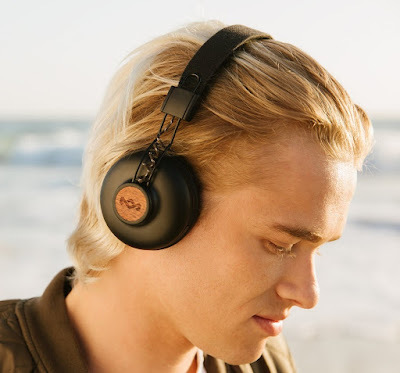 As with the wired version, the House of Marley Positive Vibration 2 Wireless Headphones use 50mm drivers and aluminium earcups to create a rich and true sound. If you're used to more expensive, higher quality headphones, these aren't going to blow you away, but compared to the little earbud 'phones that came with your smartphone, they offer a huge improvement. We understand that Bluetooth isn't for everyone, and we'll often admit to not being bothered to charge up wireless headphones and pair with a phone when there is the option to plug something in. For just sitting on the bus to enjoy a few tracks, a wired connection is fine, so we're glad to see that the House of Marley Positive Vibration 2 Wireless Headphones do offer that as well. They feature a phono port under one of the cans, and come with an included cable. Good stuff. On that note, we found that the difference in quality between wired and wireless wasn't really that noticeable, which is praise indeed. The Bluetooth connection was always strong, had a typical range of about ten metres, and was easy to pair with several different devices. As well it should. However, the only difference we found between these and the original wired Positive Vibration, was the fit. They use the same cushioned earcups and flexible, fabric-covered headband, but these wireless kind seemed a tad tighter. 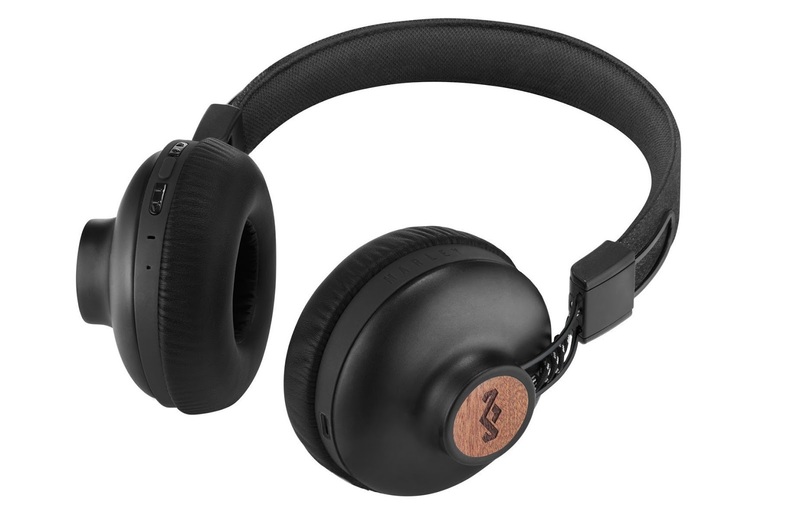 Of the three of us that tired both pairs, we all agreed that the House of Marley Positive Vibration 2 Wireless Headphones felt tighter and initially less comfortable. It might just have been the pair we were sent, as there is a good chance that the headbands of both pairs are identical, but it is worth considering if you - for want of a better description - have a big head. Which we all seem to. Weird. That said, after a few days the tightness lessened and the headband seems to flex a bit more, so perhaps it is something that will improve over time. Still, apart from that, and for people with smaller noggins, the Positive Vibration 2 Wireless Headphones were comfortable to wear over extended periods, and the control buttons on the right-side cup were easy enough to reach and operate. Right now, Amazon have these for not that much more than their wired, older counterparts, making them extremely tempting. We love that you can choose to use Bluetooth or not, and the quality of sound on all genres of music is better than we expected from sub £50 headphones. The comfort issue might have spoiled long listening sessions for some of our number, but these are still very good value and wrapped in a gorgeous, wood-accented body. We like.